Need help with an insurance claim in the Pan Handle? 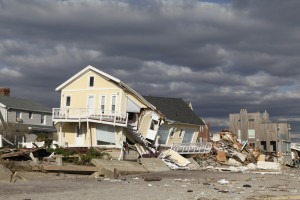 Are you unhappy with your insurance settlement for storm damage? Call Five Star Claims Adjusting today for assistance with a claim or settlement! When you submit an insurance claim for damage to your home or business, your insurance company sends out an adjuster who inspects and evaluates your loss, recommends a settlement, AND looks out for your insurance company's best interests. Five Star Claims Adjusters works for you, NOT for your insurance company. We are Public Adjusters, also known as Private Adjusters, and we look out for YOUR best interests. We, your Public Adjusters will prepare, file, and negotiate the maximum dollar settlement for your insurance claim. We make sure you get the best possible insurance settlement. Schedule a FREE property inspection, even if you don't have damage! Getting a property inspection BEFORE hurricane season will give you peace of mind that your property is in good shape going into storm season. Five Star Claims Adjusting also performs FREE insurance policy reviews. Be sure that you are well aware of your coverage and limitations well BEFORE storm season! Don't wait, have an independent professional check your policy.